Management [For] – Sanctuary Music Management Ltd. Published by Colpix Music / Sony Songs Inc.
© 1995 Sony Music Ent. 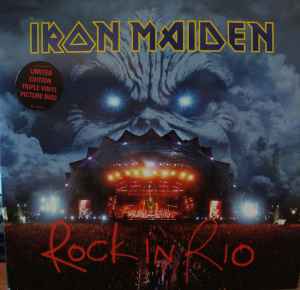 Inc.
Coming soon: superb quality double DVD / Video ‘ROCK IN RIO’ with 5.1 surround sound. Comes in tri-fold glossy picture sleeve with lyrics inside. Generic anti-static die-cut poly-lined dust inner sleeves without corners.